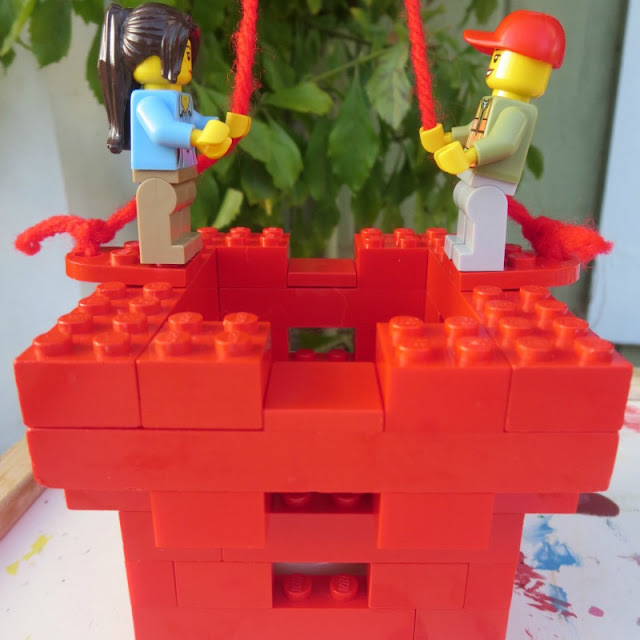 Use same color pieces – luckily, we have a lot of red Lego bricks! Try to make it more interesting than just a rectangle. We used a lot of red bricks with a width of 1 to build walls and we alternated the openings on each layer. We happened to have special Lego pieces (conveniently, they were red) to use for hanging up our lantern, but you could arrange paper clips to serve the same purpose. IMPORTANT: we used an electric tealight candle inside. This particular design would not work for real candles, since you would not be able to put a lighted candle into this lantern safely. Besides, I think the heat from the candle would damage Lego blocks. 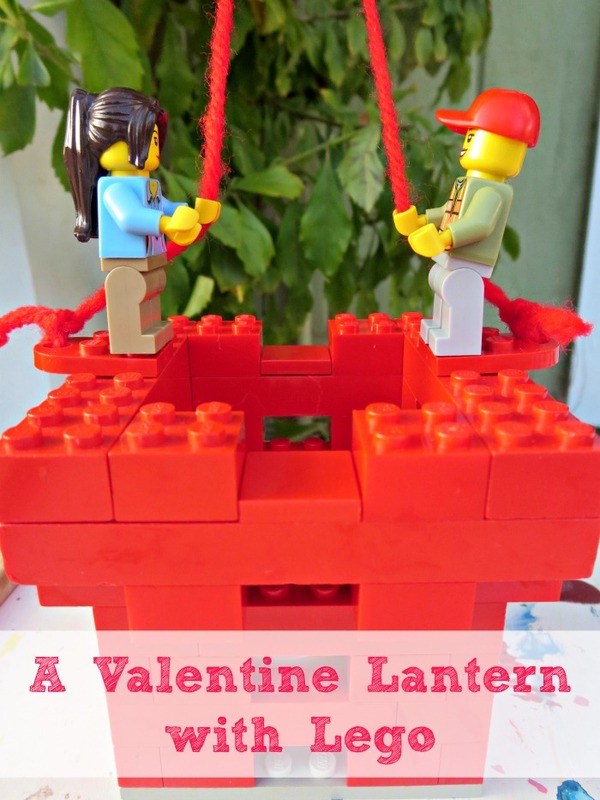 Smarty was very pleased with how this second Lego Valentine lantern turned out. It is now hanging in her room. What have you and your kids built lately? Follow my Lego Pinterest board. Follow Natalie Planet Smarty Pants's board Lego on Pinterest. My boys always build large scale wars. My daughter by contrast builds houses, farms, and such. My daughter only creates modern architecture using mostly white legos. She's a minimalist already. It looks great with the light! I like how you let her try first, and then helped her brainstorm out improvements - nice process.